Add El Super to your favorites! Smith's is a grocery store in the Southwest and Northwest. Smith's is a grocery store that's headquartered in Salt Lake City, Utah. They serve states in the Southwest and Northwest, as well as Tennesse. They're operated by Kroger, the largest chain of supermarkets in the country. Smith's is wher you can find lots of great low prices on the groceries you want to buy. They have everything you need to create healthy and tasty meals, including fresh produce, meat and seafood, a bakery, a dairy section, general groceries, snacks, liquor, and more. 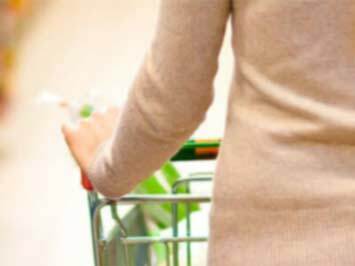 Do you want to save money when you go grocery shopping at Smith's? Then there are a few different things you can do! Start off by adding Smith's to your favorite stores right here on Tiendeo. That way, you'll always have all the latest Smith's coupons all in one place. You can also head on over to their official website, www.smithsfoodanddrug.com, where you can sign up for their e-mail newsletter to get access to exclusive savings and discounts that are only for subscribers. There are lots of ways to save! Smith's was founded by Lorenzo J. Smith (Ren for short) in 1911 in Brigham City, Utah. Back then, it was just a small grocery store. In 1922, he replaced it with a larger store and in 1932 he changed the name to "Smith & Son's Market." His son joined the business and together they expanded it. Today, there are around 130 Smith's locations. If you live in the areas served by Smith's, then you might have seen a similarly branded store called Smith's Marketplace. These are a bit different from your average Smith's supermarket, so we're going to explain what the differnces are! This is because Fred Meyer, a jewlery store, was merged by Kroger with Smith's operations. Five of their stores were converted to a new store called Smith's Marketplace. Other Fred Meyer stores were closed down (the locations in Sandy, West Valley City, and Odgen). Today, the Smith's Marketplace stores have a combination of a complete grocery store, a pharmacy, lots of general merchandise, and a Fred Meyer's Jewelers location inside. Some of their larger locations include a huge seleciton of products, which includes not only groceries, pharamaceutical products, and jewelry by Fred Meyer, but also clothing and home decor items. There are approximately 12 Smith's Marketplace locations. Do you want to receive more deals from Smith's by email?